OneRepublic is headlining the 2017 Honda Civic Tour, the sixteenth annual edition of the automaker’s summer tour, and Claypaky Mythos2, Claypaky Sharpy Washes and grandMA2 consoles are along for the cross-country ride. 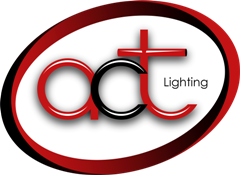 A.C.T Lighting is the exclusive distributor of both brands in North America. The Honda Civic Tour kicked off in Kansas City, Missouri in July and will wrap after Labor Day in The Woodlands, Texas. The pop rock band will play 34 dates nationwide primarily in amphitheaters. It’s OneRepublic’s first tour since releasing the album, “Oh My My,” last October. Production and lighting designer Mark Butts of LA’s Preset Productions partnered with director and co-production designer Raj Kapoor of LA’s Raj Kapoor Productions to create a signature look for the band. OneRepublic gave the creatives a lot of latitude to devise a “very clean, sophisticated, architectural look with a limited color palette,” said Butts. Video plays a supporting role with two triangular screens framing lighting trusses in a forced perspective pyramid shape. “The lighting rig was designed to look bigger than it is,” said Butts. “The choice of fixtures and the way we’ve hung the trusses make the rig look pretty substantial.” VER is the tour’s lighting, video and sound vendor. For OneRepublic Butts is using 62 Mythos2 in the truss as back lights and cross lights. They also deliver big, dynamic effects and some ballyhoos. He added about 28 Sharpy Washes, mounted in pre-rigged truss turned upside down and quickly deployed on the upstage floor, for back lights and silhouette looks. A grandMA2 light console controls the show’s lighting with a grandMA2 full-size in a back up role. Butts noted that Penn and programmer Brian Jenkins were confident about using new grandMA2 v.3.3.2 software for the tour. “With the support of A.C.T Lighting, it’s easy for us to take a chance on something new because we know we can always call A.C.T and get answers about new features in minutes,” said Butts.